1. Open MainStage. Select a project. 2. 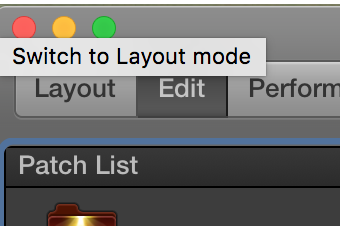 Go to Layout Mode. 3. Drag in a knob, button, or fader. 4. Under the screen control inspector on the LH corner of the screen, click the “Assign” button and move the midi controller you want to mute. 5. Go back to Edit Mode, then select “Assignments and Mappings”. Move the controller again to see it highlighted in blue. 6. Under the Screen Control Inspector, select “Block”. This will keep it from sending any data to any of the parameters in your project. Need more help? I offer one-on-one online training here. Thanks!